Round Diamond Pendant (18 in) | Shane Co. This magnificent pendant features five round diamonds, at approximately .05 carat total weight. 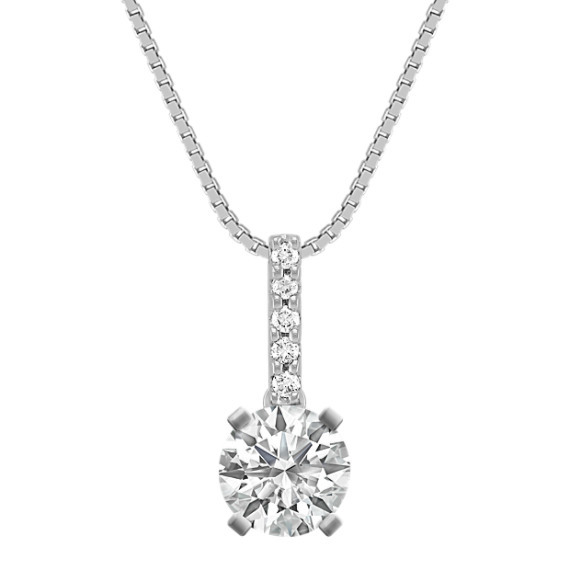 This pendant is set in 14 karat white gold and hangs from a matching 18-inch box chain. Simply add a center stone in the shape, color and size of your choice. Gemstone Carat Weight :.05 ct. t.w.